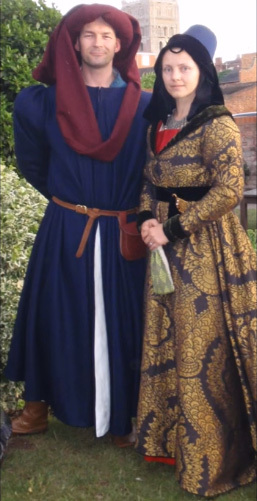 There are a lot of articles, videos, and tutorials on how to dress like a Medieval lady. But what about men? What do you know about their clothing of the time? 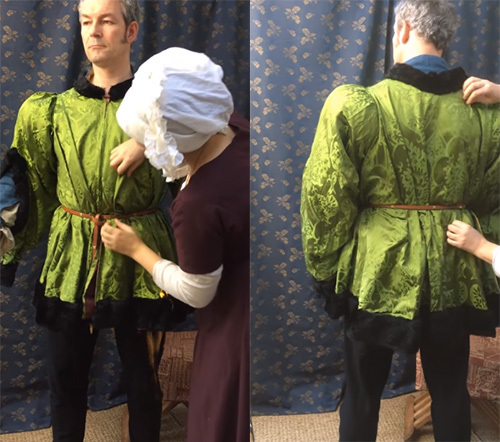 We’d like to offer you a very short and easy tutorial on dressing up a 15th-century man. 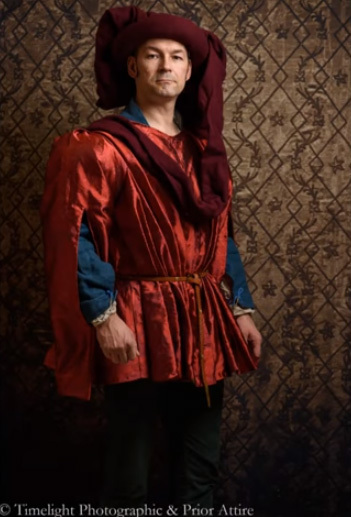 What garments should the attire include? How to arrange everything correctly? 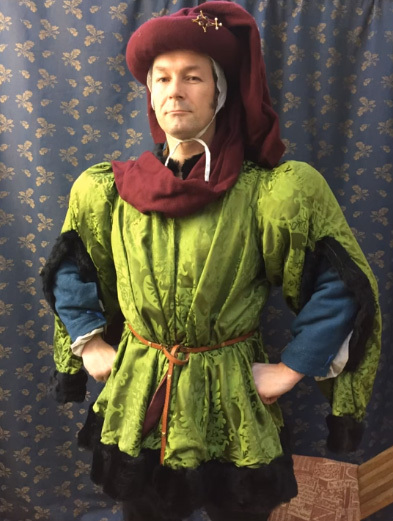 What materials were used for the male traditional outfit in the late Medieval period? And, of course, useful photos are added. 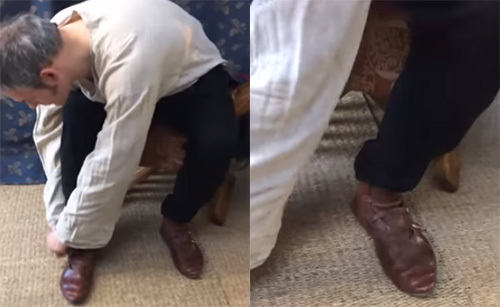 To start, a man put braies (Medieval leather shoes), chemise, and joined hose on. 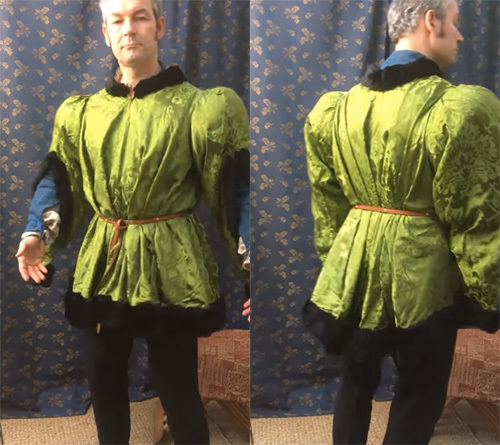 For ease and practicality, the doublet and hose are already pointed: laced together with “points” – handplaited ties. 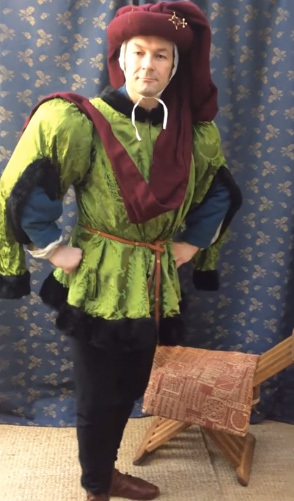 Kind of a Medieval romper suit. 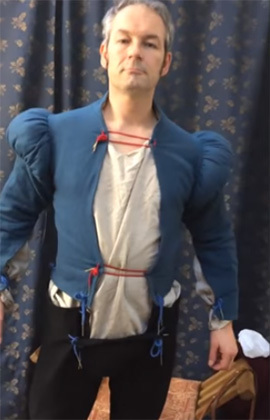 Pointing doublets and hose or breeches was used up to the first decade of the 17th century. Gown (jacket/robe) goes next. Help is always welcome, especially when one has such massive shoulders. The front of this silk gown closes with brass hooks and eyes. Thin leather belt is next. Some gowns have pleats set in at the shoulders and permanently stitched at the waist. Some need arranging on the wearer. Fold fabric in pleats running from the shoulder to the waist. Depending on the style, pleats can be straight or diagonal. 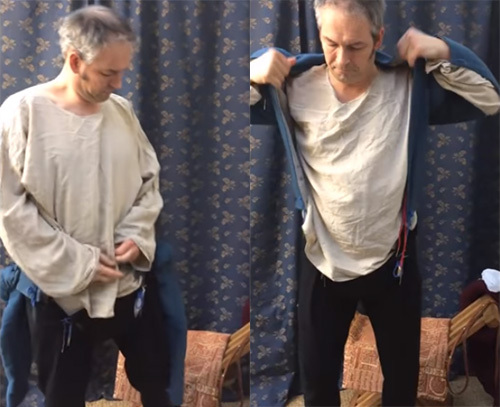 Long robes have pleats arranged in the same way. 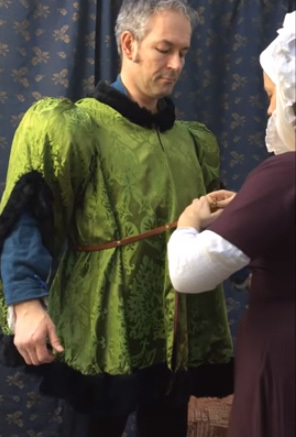 Headgear (for instance, coif and chaperon) completes the attire.